This Noah's Ark handpainted needlepoint design from The Meredith Collection LP155A features folk art style animals looking happy on Noah's Ark. A lovely needlepoint canvas for a child's room. The design area measures 9" x 7". For stretcher bars we recommend a pair of 13" and a pair of 11" and some thumb tacks. 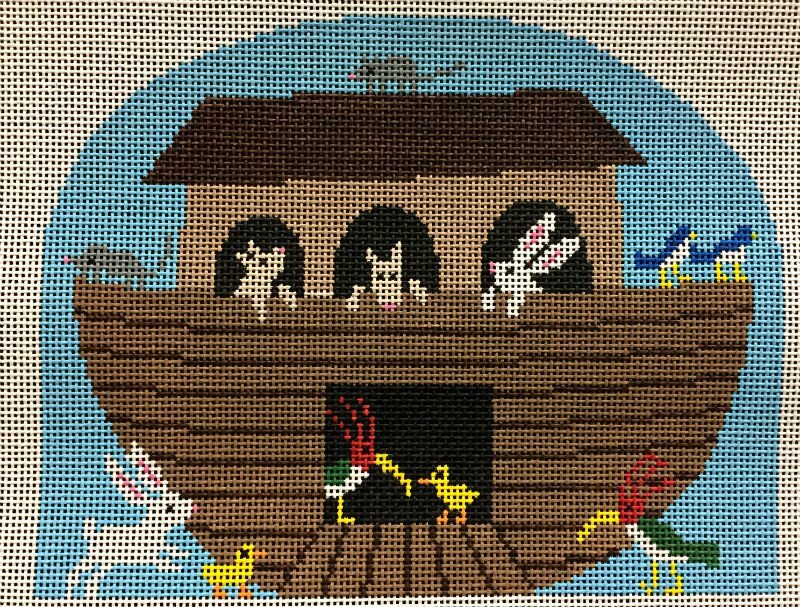 This Meredith Collection Noah's Ark needlepoint design usually ships within 1 week.